Prepare yourself for an incredibly self indulgent post about all the things I want for Xmas! Quick run down: Every year I try and buy a few of these limited release bubble bars. The bars smell amazing and are so easy to use. You simply crumble them under a running tap and bam – you have a bubble bath. It appears that this year instead of being little pyramids, Lush has made them into a bit more manageable shape. I usually try and grab as many as I can in the online boxing day sales but I never turn them down as a present! The Smell: They are amazing – a soft and sweet vanilla. The Luxury: Bubble baths are a large part of my self care routine and these beauties make them all the more luxurious. Quick run down: I have sunk so many hours into the Tropico games. Tropico 6 is a simulation game where you play as El Presidente, a ‘legally’ elected leader of a Caribbean/Cubanesque island. Pretty much this is Sims City but on a island with a catchy soundtrack. The Soundtrack: the Latin jazz sounds that play throughout each of the Tropico games. The Humour: the humour of the game is really tongue in check. The reoccurring characters of the game are also really fun. If you don’t know the series, I would really recommend you check out it out! The books are retellings of classic fairy tale and they are all interconnected and amazing. I tend to recommend the series to young adults at the library and I haven’t had any complaints yet. The larger story: The five books all interconnect to tell a larger story. I’m just going to let you in on a secret, the ‘Winter‘ book is about ‘Snow White’ and the other characters from the book all join together and there are ‘seven’ of them… Yep details like that make me so happy! 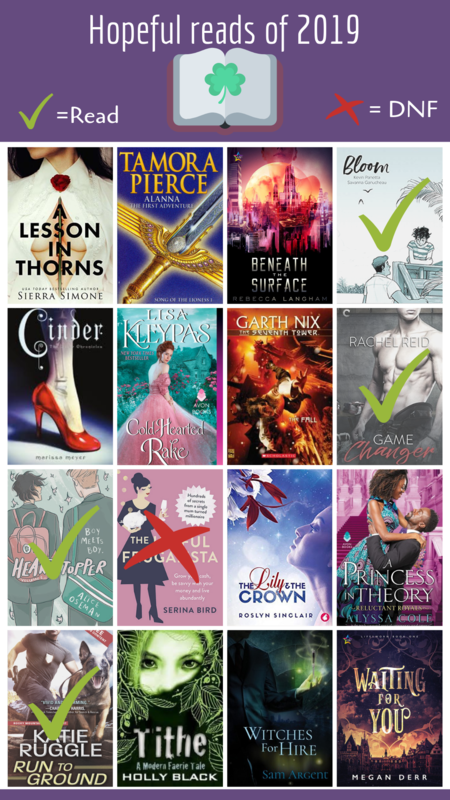 The covers: I know a lot of people give Cinder a tough time about the cover – what with the whole weird looking foot in a shoe but I love it and I love them all!. Aside from my Small Snippet of 2017, this is my first Small Snippet post that features a month in a little over a year and a half. Lots of things have happened in between and I have experienced a variety of different and interesting entertainments. However, starting off the year, my 2018 February has been a fun one. I will start off by saying that I have no idea who the author of this book is, only that they have a YouTube channel. So with absolutely no background information, I can say that I absolutely adore the poems in this book. They’re funny, modern, and sometimes insightful. Categories Games, Netflix, On Screen, PC/MAC, Poetry, Small Snippet, TV, Video•Tags Adultolescence, Books, Cartoon, Cartoon network, Gabbie Hannah, Games, Poetry, Sims 4, Small Snippet, Teen Titans Go! Curing people one terribly managed hospital at a time. 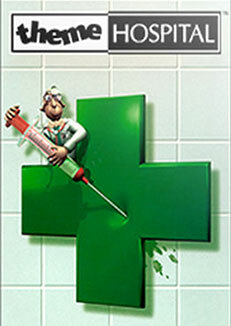 About: Theme Hospital is a hospital management, simulation game. Players are given objectives and have to cure, manage, and make enough money to pass each level. The game lets you mange a hospital by creating rooms, hiring employees, researching disorders, making money, and most of all, curing patients. The game has a fixed view camera that sometimes is an issue to navigate around but the seemingly simple game is very fun. Best Bits: The Bullfrog Productions developed game is indicative of the EA brand, that is, it is full of weird humour. Most of this humour can be found in the descriptions of disorders, employee descriptions, and the PA announcements. T houghts so far: While the game has the simple graphics from 1997, the game play is what keeps me coming back. Although it may be a tad off putting with the blocky graphics, it is still nevertheless entertaining. I am enjoying the challenge of of trying to beat my ten year old self and get past the earthquake stage. *As of writing this post. 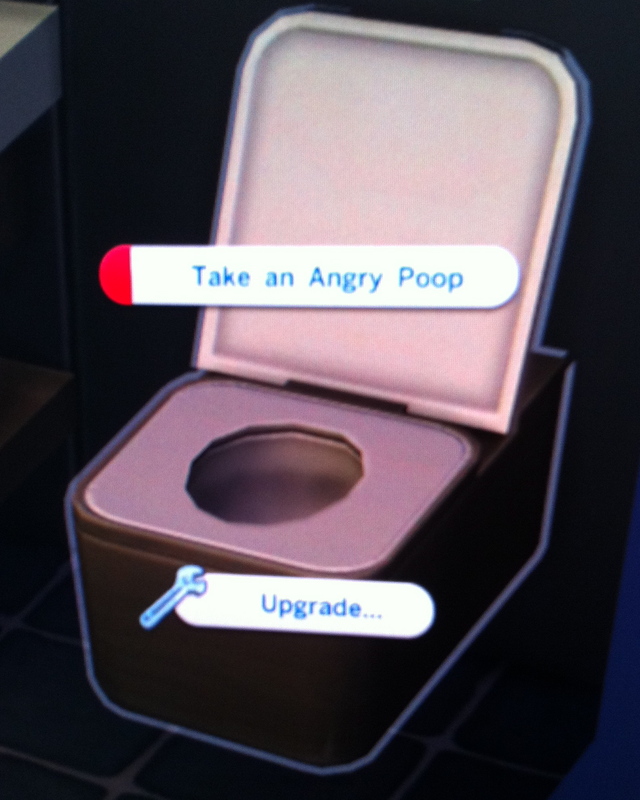 A graphic step up, The Sims 4 is a mish-mash of elements from all previous versions of the game. About: EA’s fourth installment of the life simulation game is one that allows players to create, shape, play, and control the lives of their ‘Sims.’ The Sims 4 sees the inclusion of emotions into the lives of your Sims, affecting both their mood, work, and family life. Why: Origin had a half-price sale and despite my misgivings about the new installment, the cheap price tag called to me. It called! Beckoned, really. Best Bits: The graphics are a step up from The Sims 3 with the character creation section allowing you to ‘click and drag’ your Sim’s bodies into any shape you want (within reason, of course). This function allows you to easily create a wider range of characters than previous games, I myself have been relishing the function by creating characters with incredibly unusual noses. Thoughts so far: The game is good, however unlike its predecessors, The Sims 4 doesn’t have me sitting in front of the computer for hours on end. I can spend a few hours but this is nothing like the marathons I am use to pulling. I feel that currently I am unable to create as interesting stories and narratives for my Sims; I do think that this will change with the (currently unannounced) expansion packs. At the moment I am still switching between the The Sims 3 and 4, however this does not detract from any enjoyment I have playing The Sims 4.